Packing Shipping｜Logistics Service｜Ryoun Logistics Inc. Variety sort, lot minimize, is proceeding in diversification of user damands. 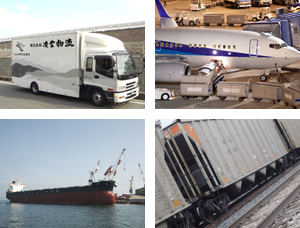 With our own established system, we are dealing with packaging-delivery from Tokyo to all over the country, all over the world. We pack your things as you requested, and send it by using several ways of transportation such as trucking, railways, ocean shipping and air shipping. This is high quality but reasonable cost. We are aiming to establish third party logistics that you can rely on the part of distribution system. Not only to be a substitution of shipping, but to be a logistics department that deliver your sincerties. By introducing high qualified "Just InTime System" ,we are delivering your things to the destination quicklly, accurately and reasonably. We meet your demands, whether it's size and amount is different by every each order. 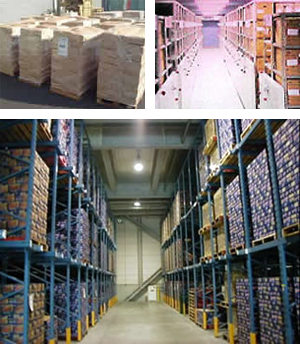 We also provide "Document Storaging service" with special stock case.